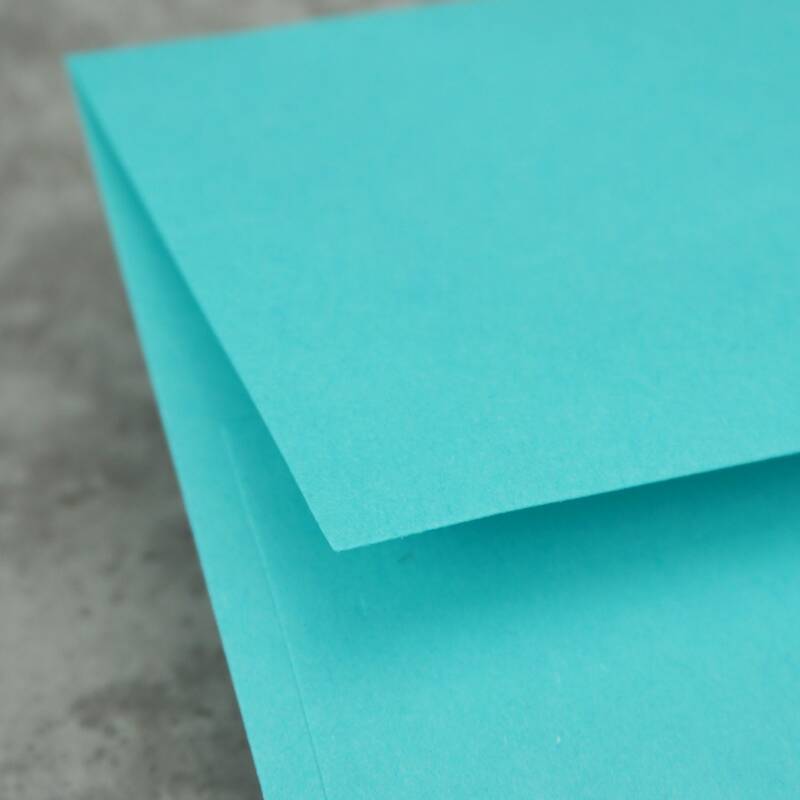 Premium robin's egg blue A2 card envelopes. Envelopes measure 4.375 x 5.75 inches. 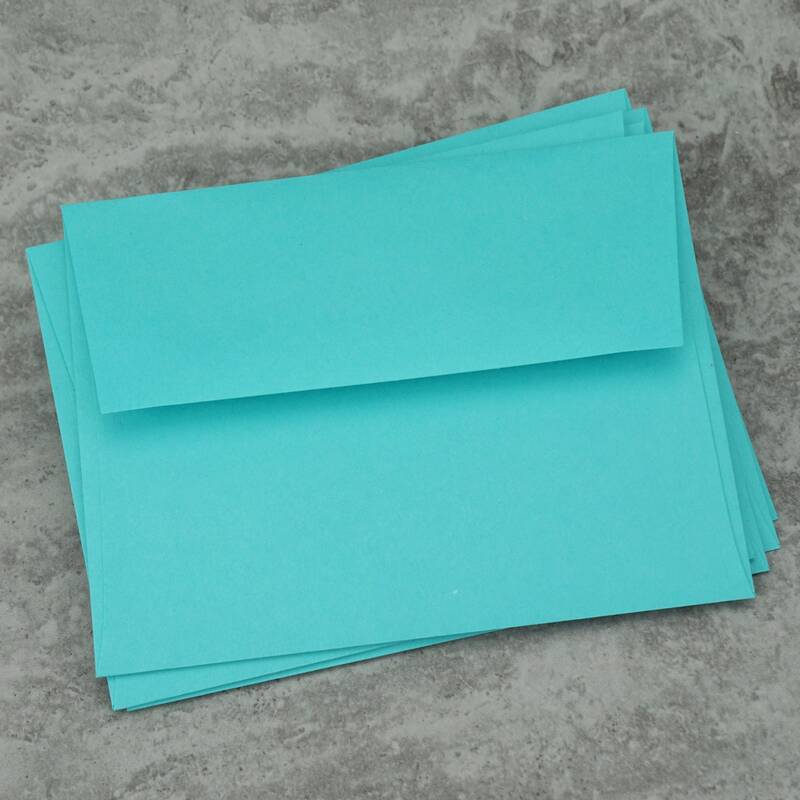 100% premium heavyweight recycled 70lb text-weight envelopes. Great for sending a custom created greeting card or invitation. 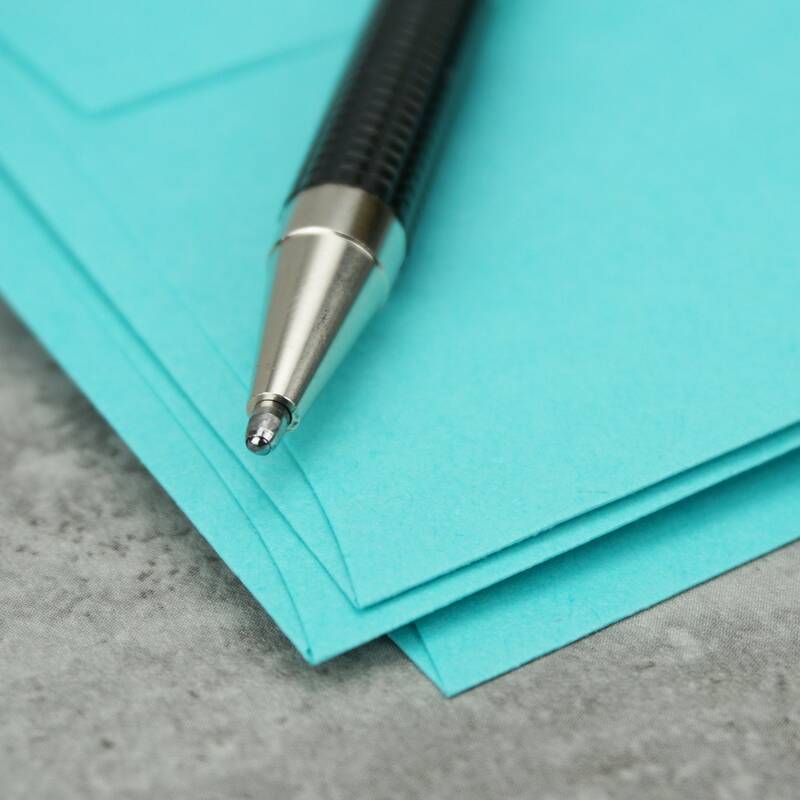 Envelopes do not include any branding, logos or markings. Made in Michigan, USA.